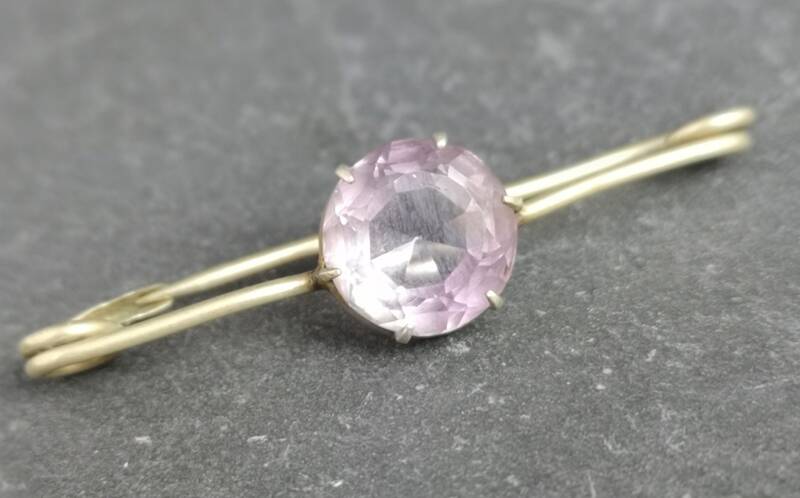 A late Victorian large Amethyst paste cravat or collar pin. 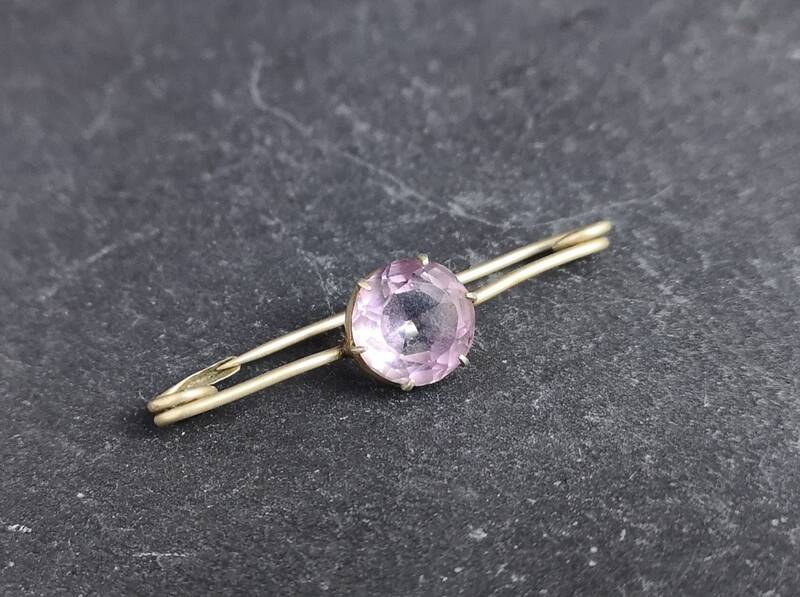 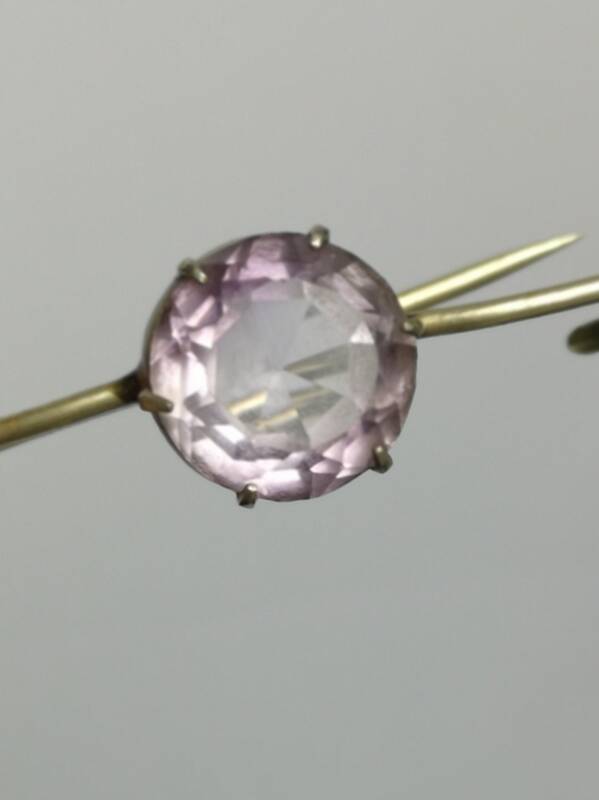 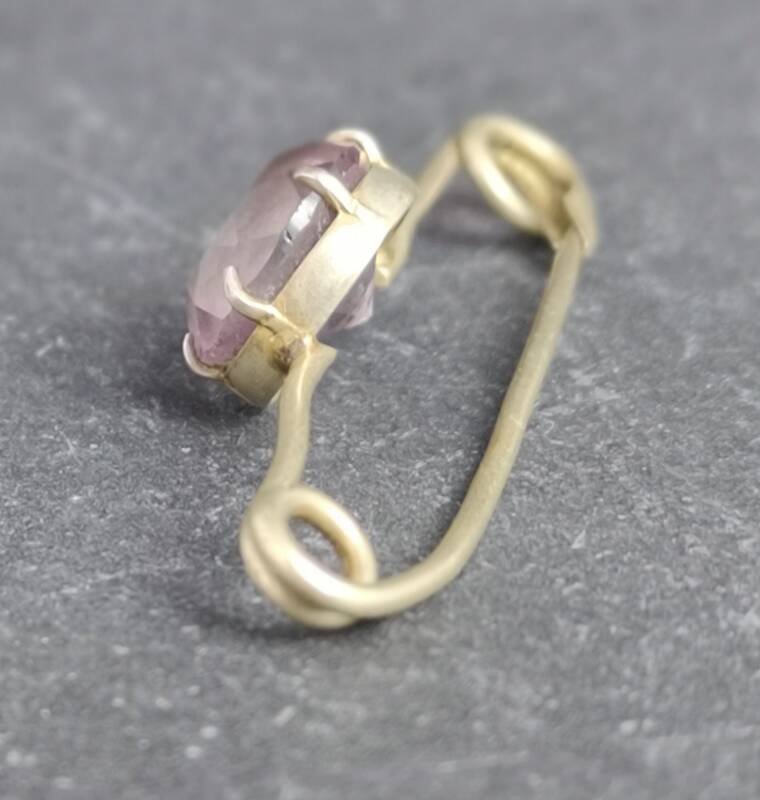 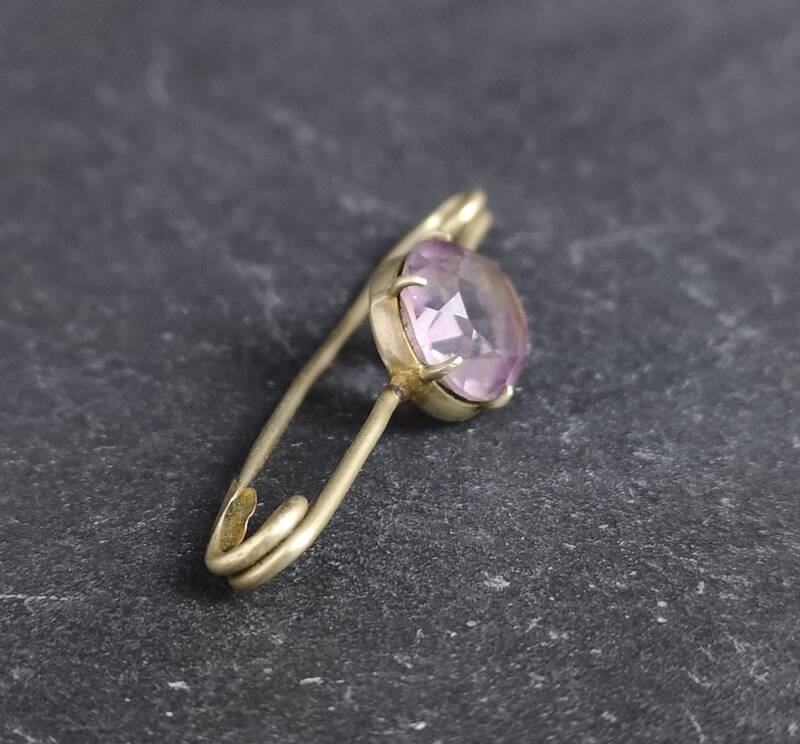 Lovely faceted light amethyst paste with light lilac tones of varying degree, darker on the outer edges and lighter in the centre. 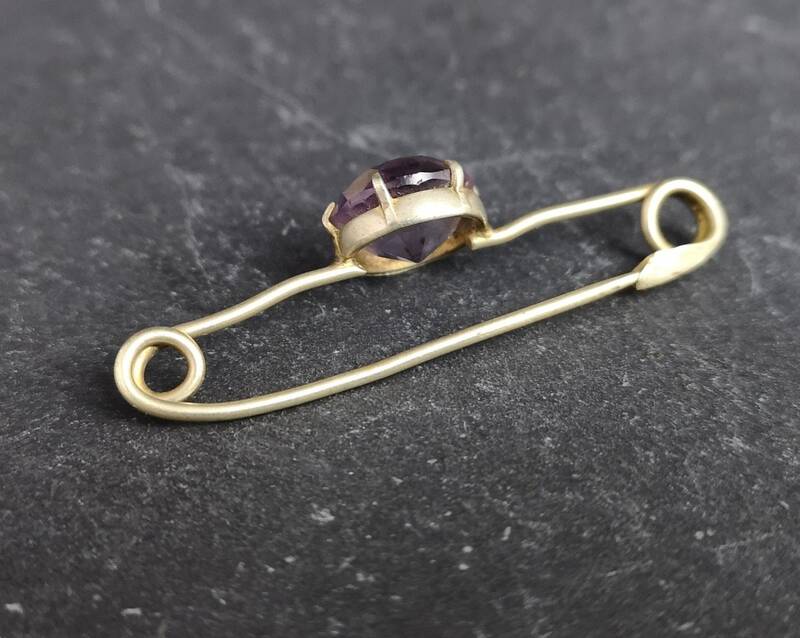 The metal pin is a safety pin style, silver plated brass but much of the plating has worn. 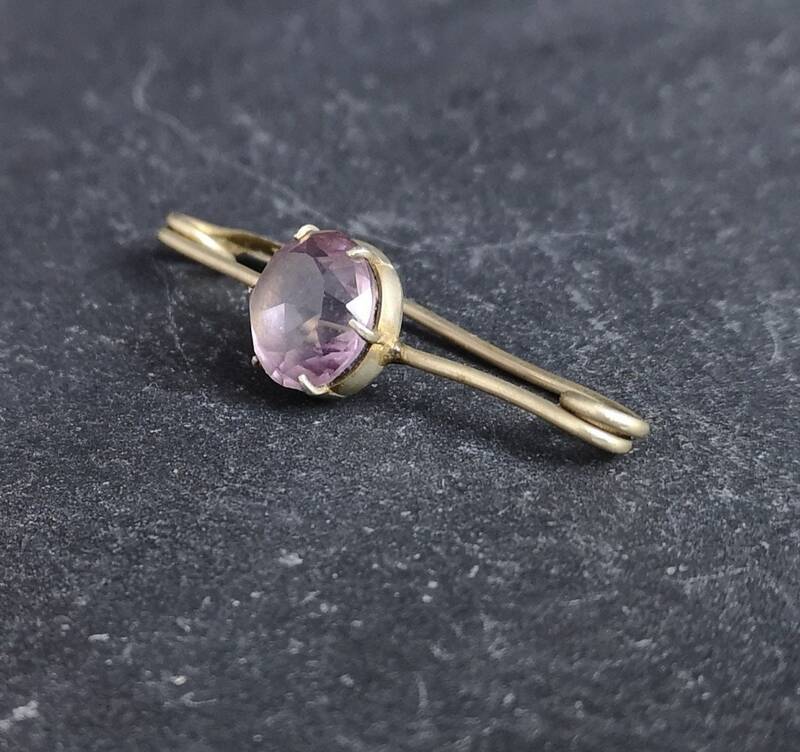 Could be worn by a lady as a brooch or a gent as a tie pin. 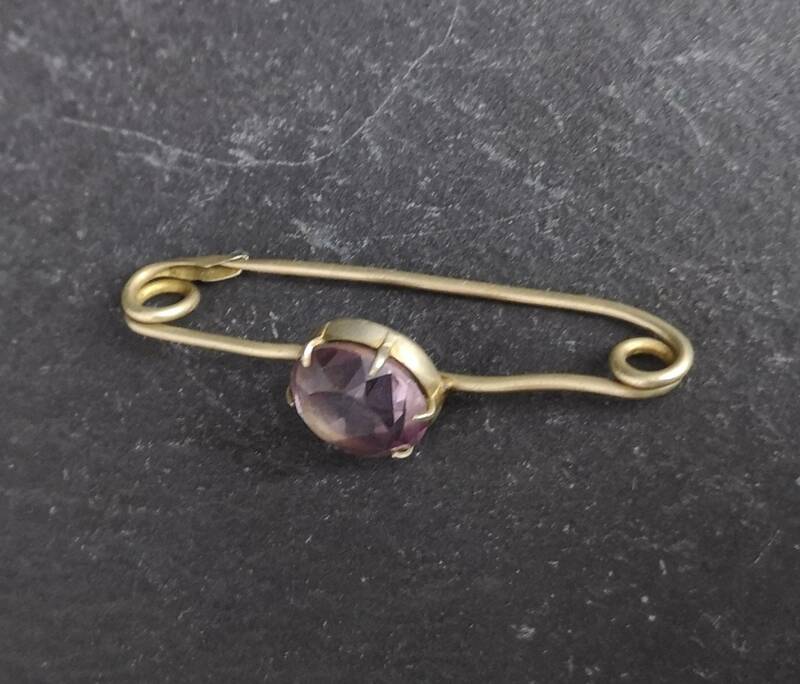 It does show wear, use and age, the old C type clasp is a bit loose and the pin rides out but it could be squeezed together.